Mark your Calendar for May 1-2, 2017! You’re invited to join The American Childhood Cancer Organization (ACCO) and the Alliance for Childhood Cancer for the 6th Annual Childhood Cancer Action Days. This two-day event in Washington brings our community together to advocate for important childhood cancer issues currently before Congress. A strong showing of advocates at Action Days 2017 is more crucial than ever. We will be at a critical point in the legislative process on several key issues for children with cancer. 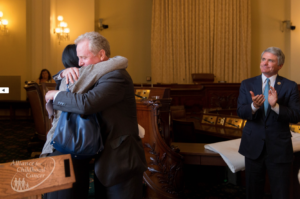 Sharing your story in Washington this spring will ensure the voice of children with cancer is heard loud and clear! Tuesday, May 2nd: Kick-Off and pre-arranged meetings with Members of Congress and their staff on Capitol Hill Registration is Now Open. A registration fee of $50 per family will help cover expenses, including breakfast and lunch on training day for all attendees. A limited number of scholarships will be available. Transportation to/from Childhood Cancer Action Days is the responsibility of those attending. The Alliance has a room block at the Renaissance Hotel for the nights of Sunday, April 30, Monday, May 1st and Tuesday, May 2. You may make reservations by calling (202) 898-9000 or by using the online booking link HERE. We recommend you reserve your room early as the room block might reach capacity! RESERVATIONS MUST BE MADE BY THE CUTOFF DATE OF APRIL 2. 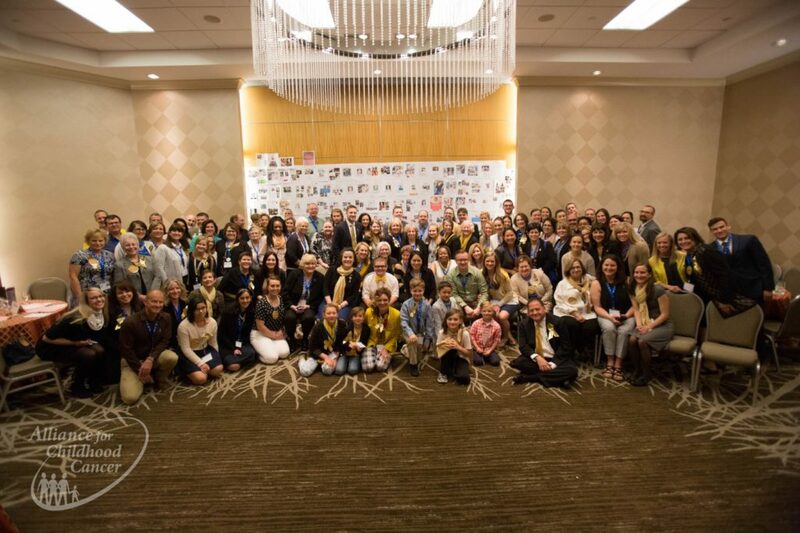 Founded in 2001, the Alliance for Childhood Cancer is a forum of over thirty national patient advocacy groups, and medical and scientific organizations. These organizations meet regularly in Washington, DC to share ideas and concerns and work collaboratively to advance policies leading to improved research, public education, and diagnosis, treatment, supportive care and survivorship for children and adolescents with cancer. 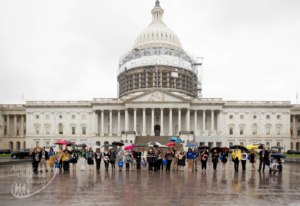 On behalf of the American Childhood Cancer Organization and the Alliance for Childhood Cancer, we look forward to seeing you in Washington, DC in May.